Rep yo city! A bruins themed sundae featuring chocolate cake and vanilla ice cream, drenched in butterscotch. Black, yellow, and white. Vanilla ice cream with a layer of vanilla cake and filled with strawberries, topped with another layer of strawberries, whipped cream, and nuts. Your choice of ice cream filled with two layers of Reese's peanut butter cups, drizzled in peanut butter sauce, and hot fudge. Two layers of pineapple and coconut served in your favorite ice cream. Crushed Oreos and hot fudge layered into your choice of ice cream, topped with whipped cream and nuts. Triple Chocolate cake layered into your favorite ice cream, drenched in hot fudge. The timeless indulgence. Three flavors of ice cream topped with pineapple, strawberries, hot fudge, whipped cream, and nuts, over sliced bananas. Three layers of pineapple, strawberries, hot fudge, and sliced bananas with your choice of ice cream in each layer. Topped with whipped cream and nuts, nearly bursting out of it's container. Your choice of ice cream, blended with milk and flavoring. One of our signature offerings. Like a frappe, but with banana and extra flavoring blended in. The old fashioned favorite brought to you Dairy Witch style. Your choice of soft serve flavor blended with any of our 8 candy toppings. A classic treat, a soda topped with a healthy portion of your favorite ice cream flavor. A large dollop of your favorite flavor floating on top of a custom flavored soda. A delicious flavored ice drink. A refreshing drink made with fresh squeezed lime and optional raspberry flavoring. Coke, Diet Coke, Root Beer, Sprite, Diet Sprite. 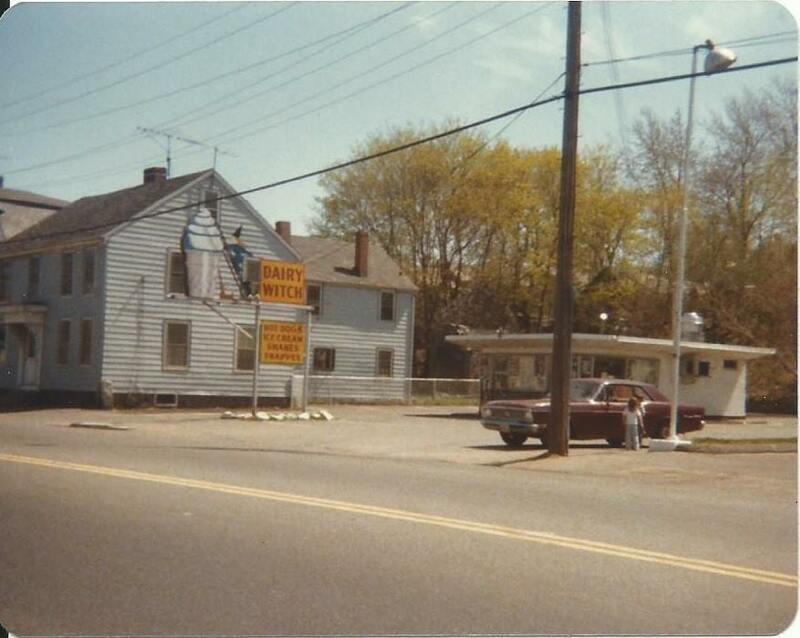 In the early 50's, Beatrice and Peter Polemenako rented away the land next to their house, allowing a local family to open an ice cream shop there. Though successful, the family running it had to give up after a year. Beatrice and Peter took over operations in 1952, dubbing it the Dairy Witch. Friendly and hardworking, they were quickly able to turn it into a thriving business. 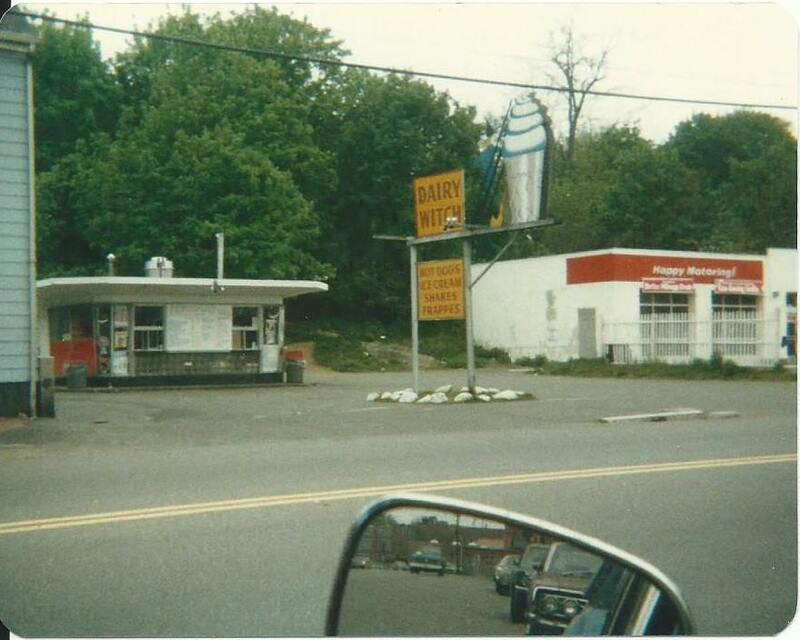 The Dairy Witch putting up it's open sign has long been a harbinger of warm weather and good times. Many of Salem's residents grew up awaiting this event. We have played host to some of our customers' favorite childhood memories ranging from youth sports celebrations to first dates. Our banana whipped frappes and crunch coat cones are nostalgic treats to our older crowd. One of the constants over the last 60 years of a Salem summer night has been the long lines of eager customers waiting outside Dairy Witch Ice Cream. Bea and Pete's daughter, Marietta, has been working there since she was a kid, and when Beatrice was no longer able to run it, passed it down to her. Marietta has kept up the standard of warmhearted service to her customers, and exemplary treatment of her staff Our former employees often look fondly upon their time here. Some make occasional "guest appearances" after they've moved on, filling in when their help is needed. Come see why customers and employees alike love the Dairy Witch! Want first notice on special offers, deals, and additions to our menu? Sign up for the Dairy Witch Newsletter! We understand that your personal privacy is one of your biggest concerns and we are committed to protecting it. At Dairy Witch, it is our policy not to distribute, sell, rent or in any way make available, your name, email address or any other personal information to any third party without your permission. Have a question, comment, suggest, or complaint? Two layers of ice cream topped with brownie bites, cheescake bites, and crushed Oreos. Hot fudge is applied generously in each layer.